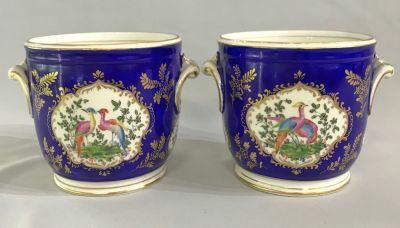 Continental porcelain hand-painted jardinieres/cache pots. 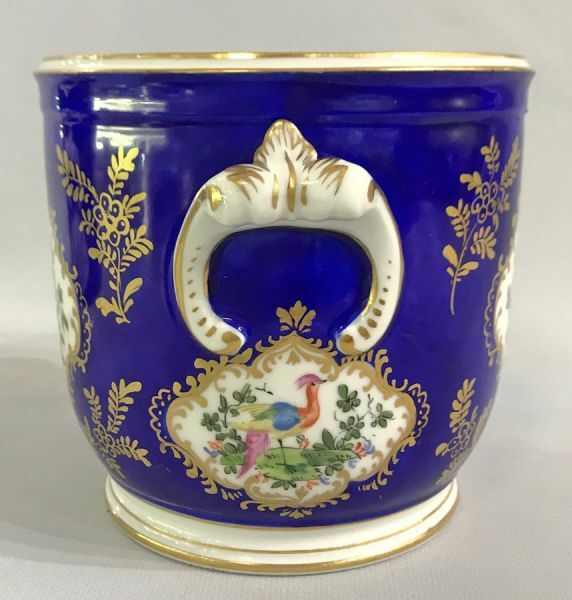 Exotic colourful birds in panels with gilding against a vibrant royal blue. 4 1/4” high. 41/2” diameter, 5 1/2” across the handles. $595 for the pair, one as found.